A food market where craft items will also be for sale is to be held at the newly opened Uminchu Wharf located in Chatan Town. Visitors can sample delicious dishes cooked by chefs from popular restaurants in Okinawa while enjoying the refreshing sea breeze and listening to soothing music. 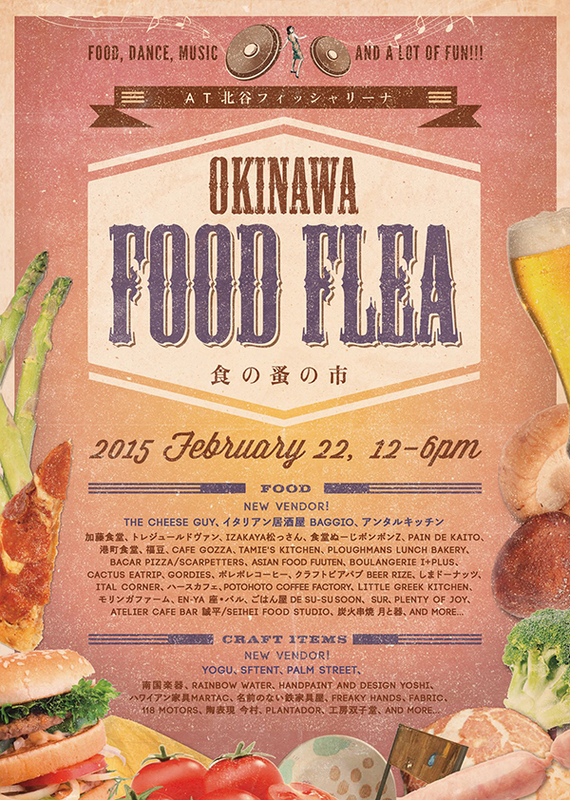 The restaurants and cafés participating in this event are Bacar Okinawa, Scarpetters, Cactus Eatrip, Ital Corner, char-broiled Kushiyaki shop Tsuki-to-Utsuwa, Gohan-ya De Su-su Soon, Hearth Café and many others. In addition to restaurants and cafés, there will also be musical instrument, Asian furniture and resort wear concessions as well as craft workshops. The event will also include exciting live entertainment shows.